If you’re one of the lucky ticket-holders of prime seats at the biggest sporting event in America, it’s high time you thought about getting there in style and without the hassle. Set to take place on February 5th, 2017 at NRG Stadium in Houston, Texas, there will be high demand for all commercial airlines to get around 50,000 visitors into the city in time to watch the game and the live halftime show held by Lady Gaga. But there is a more convenient way to get to see all this and be royally spoiled while being there, and that is chartering a private jet. You (and whoever is lucky enough to be in your company) will get to enjoy the perfect mode of transportation and other services. It’s one of the biggest days of the year for private charter jet companies, and so much more is offered with a private flying experience. From exclusive access to private performances by famous artists, to VIP hospitality areas and elite-status car rental companies, private jet companies go as far as possible to help their customers enjoy a luxury experience. In all fairness, it makes little sense to spend thousands of dollars on prime seats only to endure a rather nightmarish journey through the country to get to the show you’ve been looking forward to for the entire year. Why spoil the whole experience instead of making it even more amazing? Flying commercial is stressful for many business travelers. 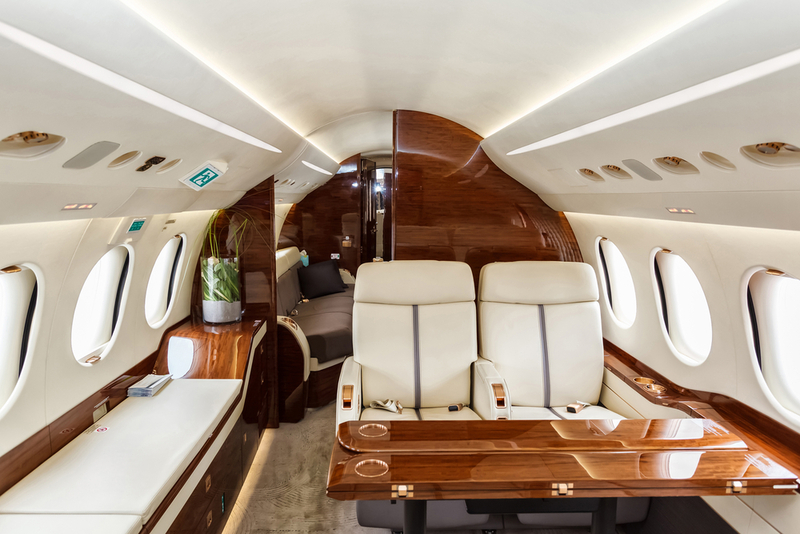 If you travel by chartering a private jet, you get to choose the departure time of your flight while avoiding the inconvenience of arriving hours in advance since you are able to board just minutes before the takeoff. Instead of getting to the standard airport and wasting time to get there, flying private means you have the freedom to arrive at one of 5,000+ alternative airports designated for private jets only. If you’re flying by private charter, there are zero TSA security checkpoints to bypass. You simply get to the airport and hop on your private jet. And for those traveling internationally, the same perks apply when you charter a jet for international destinations. Whether you’re flying from New York or Canada, you can be certain to enjoy comfortable seating and individualized attention. Food and drinks are customized to fit your preference, whether you’d like to enjoy a great American steak or an exotic sushi meal during your trip. Last but not least, the private jet company you choose can provide land transportation as well. You get to be driven around in a luxury car of your choice; whether it’s a classic limo or the latest SUV, you can pick your vehicle from a list. Flying private will make the whole experience unforgettable. If you value comfort, relaxation, and luxury, there’s no better option than chartering a private jet for the 5th of February next year.